What Does Paul Walker's Will Say? What Does Late Actor Paul Walker's Will Say? 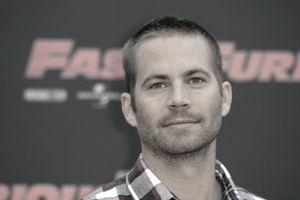 When actor Paul Walker died in a fiery car crash on November 30, 2013, at the young age of 40, he left behind a 15-year-old daughter named Meadow Rain Walker and an estate estimated to be worth $25 million. Fortunately for Meadow, Paul Walker made an estate plan which included the last will and testament and a revocable living trust before he died. Paul Walker's estate plan was trust-based. His revocable living trust was its backbone. His will was something commonly referred to as a pour-over will, a relatively short and simple document. Rather than distributing his property to one or more beneficiaries, the will "poured over" the assets of Mr. Walker's estate into the hands of the trustee named in his revocable living trust. The actor signed his last will and testament on August 15, 2001, almost three years after his daughter was born. Any prior wills and codicils made by Paul Walker were revoked in their entirety. Paul Walker's estate is left to the trustee of The Paul William Walker IV Trust dated August 15, 2001. Paul Walker's father, Paul William Walker III, was named to serve as personal representative of the estate and transfer Paul Walker's assets into the trust. If he was unavailable to serve, Paul Walker's mother, Cheryl Ann Walker, was named to serve as the successor personal representative. The will contained a no contest clause. If anyone were to contest it unsuccessfully, he would receive no portion of the estate. Cheryl Ann Walker was named to serve as guardian of Meadow because the child was still a minor at the time of her father's death. This was unusual. In most cases, the child's other natural parent would be named to serve as guardian. The will was signed in Studio City, California. Contrary to popular belief, a will is not required to list anything about the nature of the assets or the net worth of the testator, or the individual who wrote it. Such is the case with Paul Walker's will. Meadow had apparently been living with her father for three years before his death. Cheryl Ann Walker filed for guardianship of Meadow on March 20, 2014, alleging that the child's mother, Rebecca Soteros, had a drinking problem. Cheryl Walker and Soteros reportedly reached a settlement right before the March 27 hearing date. Meadow currently lives with her mother. Who Inherited Paul Walker's Estate and When? With a trust-based estate plan, it is the trust agreement, not the pour-over will, that dictates who will inherit what and when they will receive it. A trust agreement is not a public court record like a will, so we will never know the intimate details of Paul Walker's estate, but it has been reported that Meadow Walker was his sole beneficiary. The Details of Actress Farrah Fawcett's Estate — Who Got What?